Usually, my blog posts are directed at fiction writers and editors with tips on how to develop their craft. But in today’s post, I’ll be addressing those people interested in pursuing a freelance editing career. I’ll show you how freelance editing has ultimately provided me with the lifestyle I’d dreamed of for two decades. This is Part I of a two-part series on building a freelance editing career. See Part II here. Since 2002, when I began working in the book-editing industry, I’ve regularly been asked how I became a freelance editor and what it takes to become a part of this fascinating business. Below, I’ve pulled together all my tips and advice for those interested in taking the first steps toward a freelance editing career. Please note that these guidelines are specifically for those who are interested in a freelance career, not an in-house position. Although I’ve done some freelance work for Penguin Random House Canada, and Harbour Publishing in Vancouver (Harbour has taken over the Douglas & McIntyre catalogues), the bulk of my work has been as a freelance editor and proofreader for self-publishing authors. Do you love books, the written word, and the idea of immersing yourself in a book-related career? Are you a young student with a passion for books and the English language, or are you thinking of freelance editing as a second career, something you can do from home while raising your family? Or do you fall somewhere in between? Often, the people querying me about freelance editing as a career are older, may have already had several careers, and are exploring ideas to build some sort of satisfying career from home, though I’ve also had inquiries from high school and college students. Freelance editing makes a very good second or third career (or fourth, in my case), because typically, you have a lot of experience behind you, and life experience along with experience in other careers nearly always make a person a better editor. That’s because editing isn’t only about grammar and English but often demands a deeper knowledge of all kinds of trivia and arcane facts. Of course, a love of reading helps make a better editor too. Perhaps two of the most important characteristics of a successful freelance editor are a facility for the English language and an entrepreneurial spirit, both of which I’ll discuss further in a moment. Before I get ahead of myself in discussing general traits and qualities, I’ll explain how I got my own start: a rather complicated story. At the age of forty-two, I’d been employed on and off for a couple of years in a very unsatisfying (for me) and poorly paying secretarial position in a financial office. Anyone who knows me knows that kind of stuff isn’t my forte at all. Prior to that, I’d had long careers in television production, in the classical music and arts nonprofit sector, and as a secretary in various fields. One of the jobs that came closest to fulfilling my need for a rewarding career was my work in the publications office at TRIUMF, Canada’s national laboratory for particle and nuclear and physics, where I was bitten by the editing bug. I’d always had a gift for the English language—as far back as high school, I was helping friends with their English papers. But it still took several years to attain my goal. Finally, in 2002, I made a decision that life was just too short to spend attempting to eke out a living at mundane tasks I didn’t enjoy and wasn’t any good at, and I found a graveyard-shift job proofreading calendar inserts for $12 an hour. It was a very humble start. With zero book-editing experience and just a handful of night courses at SFU’s Continuing Studies Writing and Publishing Program, my editing career struggled to life through an enormous amount of hard work, perseverance, persistence, and some “lucky breaks.” That’s in quotation marks because I don’t believe luck just happens—I’ve always believed you get lucky breaks when you work hard and recognize opportunities when they fall in your path. During the ensuing year, I did several more editing jobs for GIP, but my career really took off about a year later, after I had launched my website. I’d found an excellent SEO person who helped propel my site to the very top of Google rankings. I remained #1 on Google.com for my two search terms for many years after. Because of this experience, I feel it’s essential for a freelance editor to have a well-developed web presence, even though these days it’s no easy task getting to the top of page 1 on Google for your search terms as I had done back in 2004. I know few other editors who’ve had as much success with SEO as I have. Then, in late 2004, a publishing services company called Infinity Publishing in Pennsylvania was so impressed with my site that I was invited to speak at their annual writers’ conference, on a panel with Dan Poynter and John Kremer, two gurus of self-publishing. I was well on my way to establishing a reputation as an indie book editor—all because of my website. From 2003 to 2005 I worked five days a week at the financial office, one day a week proofreading the newspaper Business in Vancouver, and the remaining day and evenings editing book manuscripts until 1 or 2 a.m. I was working seventy to eighty hours a week—a recipe for burnout. At last, reaching that burnout point, I felt confident enough to quit my secretarial job in early 2006 and begin freelance editing full-time. I’ve never looked back. Educate yourself. There are no specific educational requirements for becoming an editor. I never hesitate to tell potential authors and editors that I have little formal editorial training; I’m almost entirely self-educated. However, I do suggest taking appropriate college courses in editing and writing, if possible. If you’re starting university and are unsure of your major, take whatever courses interest you—any major, with an English minor, or vice versa. Some of my editing colleagues have English degrees but many, many more have degrees in everything from biology to philosophy to religious studies to business. If you’re determined to become a freelancer, I also recommend taking business courses, something I didn’t do. I have a lowly diploma in television broadcasting, but at least it’s communications related. After you’ve been editing full-time for about five years, in Canada you can try for your CPE distinction—certified professional editor—through the Editors’ Association of Canada’s certification program. This is a rigorous program, similar to obtaining a master’s degree in editing. It’s not for beginners. Carefully study the Chicago Manual of Style – 16th Edition. It’s the freelance editor’s bible. 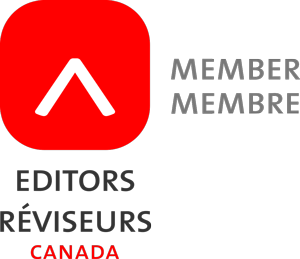 Join the Editors Association of Canada or, if you’re in the US, the Editorial Freelancers’ Association or the American Copy Editors Society. In Australia, you’ll find the Institute of Professional Editors Limited, and in the United Kingdom, they have the Society for Editors and Proofreaders. Create a website. Résumés are largely obsolete and, well, just boring. When looking at new editors to pass along work to, I’m always much more impressed when they send me a link to a well-thought-out website, not a dull résumé. Network, network, network. Attend conferences, seminars, and branch meetings held by your professional editors’ organization. Get online. There are many different editing discussion groups on LinkedIn. Join the Editors’ Association of Earth closed group on Facebook (and its many subgroups and specialty groups), a fabulous resource. Thousands of editors belong to this group and actively participate. You’ll meet like-minded people you can chat and commiserate with, and there’ll always be people who can answer just about every question you may have on both the business side and the mechanics of editing. Possess drive, ambition, resilience, and perseverance. My story was perhaps one-tenth luck, and nine-tenths hard work and innate skill. I can’t overstate this. Yes, I had some lucky breaks, but they came because of hard work. Cultivate some life experience, if possible. I know I’m a better editor because I’ve had so many varied careers, jobs, interests, hobbies, travels, and friends. If you’re still very young, but you’re determined to become an editor, don’t despair. Get out into the world and experience as much as possible. Travel, work, socialize, read widely. Most editors are introverts to some extent, but if that’s the case with you, don’t let that trait hold you back. Push yourself to experience life. Be curious and intelligently critical about everything around you, not just about editing. Curiosity is a highly important trait in an editor, as are critical faculties. A curious nature makes for a great editor because you constantly need to question and criticize what you’re editing—not only the grammar, but the content and facts. Be a stickler for detail. Perfectionism, not a great trait in everyday life, is a marvelous asset for an editor to possess. Develop an entrepreneurial spirit and attitude. Being an entrepreneur isn’t easy, but the benefits are enormous. Ideally, especially in the beginning, you’ll need to be dedicated to your new business 24/7, and you’ll need to be prepared for occasional financial uncertainty and difficult customers. But the rewards of cultivating a successful business of your own are beyond anything you can imagine. There’s simply nothing in the world—professionally speaking—like being your own boss. See my blog post here on the fifteen reasons why I love freelance editing. Have innate talent for working with the written word. This last item is an intangible. You can do all the other things I’ve just mentioned, but without an innate gift for the English language—and this may sound brutal—you won’t get very far. It comes from an indefinable combination of certain strong cognitive abilities with the English language, a photographic memory for words and sentences, an “ear” for how the words, phrases, sentences, and paragraphs sound in your head as you read them, and that all-important critical sense. I’ve tested editors who simply don’t have these qualities, despite their great efforts and enthusiasm for the written word. Right now, you may be saying to yourself, “Yes, that’s me! I have all those characteristics.” But the only way you’ll know if you’re truly a good fit for a career as a freelance editor is to spend time in the industry. Internships are increasingly a thing of the past, and you may find yourself in the Catch-22 of not being able to gain experience because you have no experience. If this is the case, one of the best things you can do is volunteer. Find poorly written websites on the Internet and volunteer to fix them up. 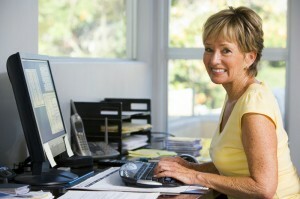 Visit a seniors’ home and offer to edit some of the residents’ memoirs. Or volunteer for one of the many positions your editors’ association offers, wherever you live. This is fabulous experience to add to the portfolio on your website, which will need something in it, after all. While every book genre requires a specific, focused editorial skill set (for example, textbook editing), a special note needs to be made about fiction editing, which requires an entirely different set of skills in addition to your solid foundation of English-language skills. Editing fiction requires skills that are rarely innate, as good grammar skills may be; instead, you’ll need to specifically study how to write fiction. 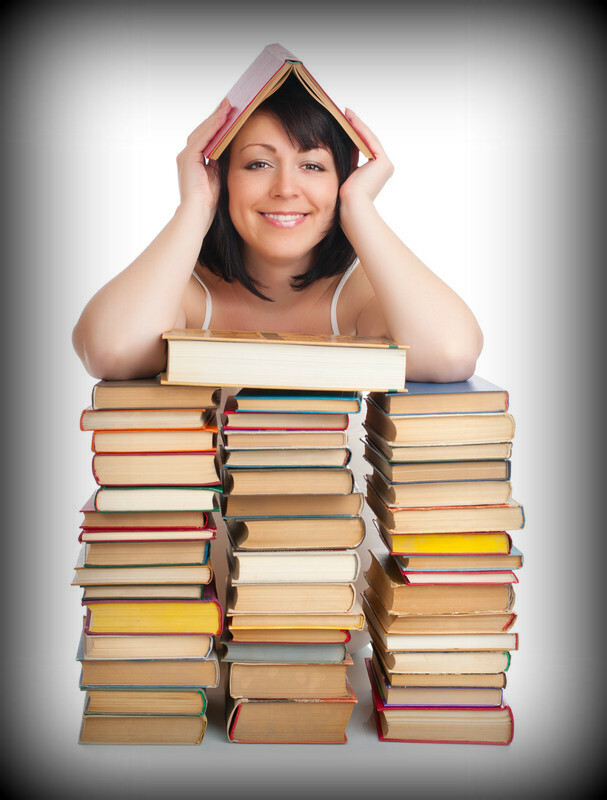 If you want to become a fiction editor, take fiction writing and fiction editing courses. Googling “how to write fiction” or “how to edit fiction” will provide you with enough material as a starting point to read and self-study for weeks. Similarly, editing memoirs—for which there is currently a large market—calls for specific editorial skills. Memoir editing isn’t unlike fiction editing in that it requires the development of an intriguing storyline, often partially fictionalized (called creative nonfiction), whether it’s chronological or not. Do your homework thoroughly if this is a genre you wish to pursue. You couldn’t choose a better time to become a freelance editor. Self-publishing has become a huge and legitimate market, no longer stigmatized by the term “vanity publishing.” Since the beginning of my career, most of my clients have been self-publishing authors, and the field of indie publishing is continuing to grow, I dare to say exponentially. Research and learn about this niche. All in all, it’s an astoundingly good time to be in this business. I’m fond of saying that I would not have been able to achieve such success in this career if it were not for the Internet. It no longer matters where you’re based—as long as you have the requisite skills and a good website, you can work from anywhere in the world. It’s a dream job. Although it won’t make you rich, you can make a decent living if you have the talent, an entrepreneurial spirit, and you’re fiercely determined and dedicated. Yes, it’s a dream job, but there’s a caveat. Don’t imagine for a second that editing is about reading fun and interesting books all day—although occasionally it is. It’s mostly about reading, analyzing, and critiquing weak or poor (sometimes extremely poor) writing, often on subjects you may not be interested in, and improving that writing so it’s captivating for others to read. Trying to decipher someone else’s poor writing and adapting to their style, or adding some style if none is apparent, is exceedingly difficult work most of the time—it’s brain work, sometimes of the hair-tearing-out variety. And sometimes it can be all about fact checking or formatting footnotes and reference lists and bibliographies properly, which requires another completely different skill set, usually using either Chicago, APA, or MLA styles. Whatever else it may be, freelance editing is not a “hobby job.” It’s not something you can simply start doing because reading stuff at home for a living sounds like an easy way to increase your income. Becoming a professional freelance editor requires as much of an investment of time and education and money as does any other professional career. Not to mention ongoing learning—I’m continually upgrading my skills by attending conferences, taking courses, reading widely, and joining discussion groups with my colleagues. If this is a career path that interests you, you’ll need to have a passion for the English language and for working with the written word. Passion is key—like me, the best freelance editors I know have great passion for this work. But you probably do already, or you wouldn’t be reading this. If you still think freelance editing is the right career for you, I wish you all the best in your journey to becoming an editor. Has this article been helpful? If there’s something you feel I’ve missed, please add your comment, and I’ll be pleased to answer any questions you might have on the subject of how to become a freelance book editor. So happy to be an inspiration to you, Sophie. After many years of hard work, I really am living my dream — following my passion for editing while spending winters in tropical locations. I can’t imagine a better life. Thanks for sharing your road to success. I identified with so much of what you said, and learned a lot too. Great post. Thanks, Stacey! Glad you could identify with my story. For most of us, it’s not an easy road to success, but it’s well worth the journey. And it really doesn’t end until one retires. Congratulations on your own milestone! I’m so glad you are back! I really enjoy your posts. Thank you for sharing about your road to success. One of the things that has helped me tremendously is joining an online association of editors and developing a support group. My main online group has been the Christian PEN: Proofreaders and Editors Network. In fact, I am helping plan and speaking at their editors’ conference this year in Austin, Texas. If you have any readers that are considering breaking into editing and are looking for a Christian support group, PENCON would be a perfect event to give them a leg up. More details can be found here: http://thechristianpen.com/convention-2/. Especially important are the points you made about hard work, dedication, and self-education. I’ve seen too many people who think they can be successful editors using only the skills they learned years ago in high school. Like you said, the Chicago Manual of Style is a necessity as well as other industry standard reference books. You’ve got to have the right tools to do a professional job. Thanks again! Thanks for your reply, Rachel. And thanks for letting readers know about PENCON. I’d heard of PEN, but I wasn’t aware it was a Christian group. Good to know! Thanks for the interesting and inspiring post. I have done Proofreading and Editing course here in New Zealand and have volunteered to do a couple of jobs to get some practice in. Eventually I hope to get more involved with it. Thanks for sharing story and experiences! You’re welcome, Julie. Thanks for commenting, and best of luck with your new career! Thanks for the great article. I’ve known I’ve wanted to be a writer/editor since I was a child, but for some reason I took a million different paths first. I am now ready to put in the work to become a freelance editor, and blogs like yours are invaluable. You included lots of great tips for the newcomer: thank you! You’re most welcome, Andrew. I’m happy to answer any other questions you may have. Very well written and informative. Thank you for sharing your journey as well as professional insight into becoming possibly a good if not great editor. Your post was most informative, enlightening and ecouraging. What was just an idea for me is now a seed ready to shoot into life! Thank you for generously sharing your knowledge. You’re welcome, Clydella. I’m so pleased I was able to inspire you. I hope you remember to report back and let me know how your editorial career is progressing! Well said and useful information, Arlene. Dennis Briskin, the Friendly Ghostwriter. I turn straw into gold, and I bet you do, too. Straw into silk is brilliant. A woman wants what feels luxurious and sensual against her skin. What men want is shiny, cold and only looks good on the skin. Hello everyone. Thank you so much for this, Arlene! My background is in Architecture- Interior Space Planning & Design; so I’m glad to learn that your humble beginnings are rooted in the financial industry. My editing experience is limited to proofreading college and grad school papers mostly for friends; and editing department newsletters at work. I have taken a handful of creative writing courses. The challenge I have is parlaying these experiences and market myself effectively as a freelance editor. Any suggestions? Hi Rashidat and thank you for your comment. All the advice I have is contained in this article. I suggest starting with some volunteer work and joining your local editors’ association, wherever you live. For example, in Canada we have the Editors’ Association of Canada. Networking is very important in this business. Hello, my name is Robert C. Shields Jr. & I, like you, have taken a round about path to this field. I read Alot & find typos Everywhere; including the applications for employment at all the crazy jobs I’ve had. Driving a school bus & tractor trailer to working in the plastic-injection moulding field. I’m a Massive gamer & reader & I have tried just about every MLM out there, however, I am also 7’1″ tall & have an instantly intimidating presence. The challenge I have is parlaying these experiences and marketing* myself effectively as a freelance editor. This blog will be instrumental in my success, & I thank you in advance for it & you. P. S. I was very impressed upon reading this to find zero typos. Very nicely done! Thank you for your comment, Robert. It’s commendable that you’d like to try for an editorial career after all you’ve done. However, your comment is filled with a number of errors, including too many capitalized words. Also, for example, “roundabout” is one word, and “a lot” is two words, and there are other errors. I mention these errors not to be critical but to encourage you to keep studying the editorial profession by taking courses and networking. And to proofread your own writing carefully! Not that I am perfect either. Most of my blog posts contain one or two errors that my colleagues eventually find. Yes, I am aware of my failings & I continuously endeavor to correct them, starting with some night classes; as soon as I can afford them. I don’t have any way of italicising on this device, hence the capital letters on emphasized words; thank you Yahoo-chat. Also, those two spelling errors can be chalked up to auto-correct; seeing as how I am using a smartphone to write this. I know there is a lot more that I need to learn before I can do this as a career, but I do have the drive & the will. Also, as a personal choice, I like the & symbol better than the word and. I guess that’s a consequence of too much Yahoo-chat & MMORPGing, ie: Diablo, D2LOD & WoW. My first step has been to put The Chicago Manual of Style on hold at the library. I plan on reading it very soon. I am but a fledgling starting out in researching this field & I am aware of my own short comings. I do appreciate constructive criticism, however, so thank you very much for your prompt response. Great tips, Arlene! I was wondering, though, what is appropriate for someone like me to charge for a proof reading/copy editing job. I have freelance journalism experience, some website copywriting and scriptwriting experience, but I’m banking more on my education. I have a BA in journalism, certificate in scriptwriting, and have just been accepted into an MFA in creative writing. Let me know what you think! Hi Katrina, and thank you for your comment on my blog. As a newbie, you may want to charge $30 or $35 per hour. However, without seeing a sample of the manuscript and knowing the total word count, I can’t tell you how many hours the work would take. You can read quite a bit about how I arrive at cost estimates on my “Request a Free Quote” page here: http://penultimateword.com/editing/editing-rates-request-a-free-quote/. Thank you so much for sharing your experience Arlene! I am going to be attending college to further my passion for English. I am currently struggling with branding myself. Do you have any suggestions in regards to creating the right tag line and bio for sites like Guru and LinkedIn? I have also signed up for those. Thank you again! Your post has been the most helpful so far. I’m a freelance textbook illustrator and a lot of what you mention in the post also apply to freelance illustration. I agree that a great website is a must. Thank you again for your informative and inspirational post! Thank you for your comment, Ikumi! It made my day. I’m glad you enjoyed my article. Hello! I really appreciate your words, but I have found myself in a pretty unique situation. See, I am of young age though I have been told repeatedly that I would make a good editor. It had gotten to the point where my aunt, who is an author, told my mother that I gave better feedback than her own editor, of whom she pays generously. The author said that I should (and could) start editing right away, and that I should even charge- only to keep my age behind a veil. My issue is figuring out how to begin doing so. I am not familiar with online payment methods, nor am I sure how to get the word out regarding my abilities. I am currently editing some works on Wattpad, but as of now I’ve had no paying jobs. Any advice? That’s a tough one, Jesslyn. But if you’re determined, and if you have drive and perseverance, I’m sure you can do it. My best advice is to begin by joining the Editors’ Association of Earth on Facebook. There you’ll find thousands of editors of every level, and you’ll get many, varied answers to virtually every question you can think of. Meanwhile, I agree — your young age might be an impediment. Why not just leave it out? Nobody has to know how old you are. There’s a learning curve to becoming a successful freelancer. It’s not entirely about being an excellent editor; freelance editors are entrepreneurs who are also running a business. You’ll need to get educated on the business aspect as well. Again, you can get answers to all these issues and questions from other editors in the EAE group, and in much more detail than I can do here. Best of luck in your blossoming career! How would you suggest starting for someone who doesn’t have publishing connections? I’m a recent college graduate with a degree in creative writing and experience editing five novel-length senior writing projects, but none of them were published. I know that a portfolio is important, but I don’t know how to start building one. My instinct is to post on the NaNoWriMo forums and ask if anyone would like developmental/content editing for a project, and offer that for free to a few people in exchange for testimonials I can put up on a website, but I also know that it’s dangerous to offer services for free. Do most starting freelancers just find work on sites like Upwork and other freelancer sites? I’m not really sure how to build a clientele, other than to just do a lot of work. Would you suggest pricing by hour or by word? I saw that you do by hour, and I have a rough idea of how many pages are expected by the hour, but I don’t know what to charge for my services when I’m starting out. Thank you for your detailed questions, Hannah. I’ll try to answer as best I can. First, you should try again to join the Facebook group, Editors’ Association of Earth. There are so many resources there. “Pending” means there is no moderator around to accept your request to join. Take a look again to see if you’ve been accepted. Have you created a website? That’s very important. If you haven’t, spend some time taking a look at other editors’ websites to see what they’ve done. Then get started on this task right away. There are lots of website templates out there that are easy to set up — you don’t need a custom design like mine. You need to get your name out there. All the other things I can suggest are in my article. Join an editors’ association in your country and get involved. Most volunteers in the Editors’ Association of Canada have found work just through contact with other editors. Another thing I suggest is — yes — do a bit of work for free. Volunteer work counts just as much as paid work when it comes to having jobs and editing projects to add to your website or resume’s portfolio. There are hundreds of poorly written websites out there — offer to clean up companies’ websites for free or in exchange for a small fee, then add them to your portfolio. You may just develop a niche! I always suggest pricing by the hour, but it’s entirely up to you. Some editors prefer charging by the word, but that means you have to change your per-word price for every project, depending on how good or poor the writing is, which will affect your editing speed. Charging the same price per word for great writing and poor writing alike is a bad business model — you will likely end up losing out if the writing is really poor and you’re still charging, say, $.025 per word. If you choose an hourly rate, I’d say to start at about $30 per hour, but bump that up to $35 as soon as you feel comfortable. That’s my best advice in a nutshell, Hannah. If you have any other questions, feel free to e-mail me. I have occasionally done editing work for friends and am considering getting into the field more seriously. I have a question regarding freelancing for self-publishing authors. Suppose that you do editing for a self-publishing writer, and the writer is not meticulous in going through to adopt edits and/or chooses not to accept edits, resulting in many errors in the final published version of their work. Would this then reflect badly on the editor when seeking further work? Should these examples be listed on the editor’s resume? If the editor’s name is credited in the work, would that be a ding against them when other writers are doing a background check on the editor prior to hiring? How have you handled this type of scenario? I have indeed come across that scenario a few times in my career as an editor, but typically I do not go through the published book to see how many of my edits have been accepted or rejected. That would be far too time-consuming. Ordinarily, I have no problem adding the published book to my website’s portfolio page and being listed or credited in the acknowledgements, even if I know the book is going to be of mediocre quality. It’s never come back to haunt me. Perhaps the few mediocre books balance out all the wonderful books I’ve edited. In any case, when people are doing background checks, it’s doubtful they read entire books from an editor’s portfolio, just to look for errors. Rather, they’re looking at an editor’s body of work overall, to gauge the type and quality of projects the editor has worked on. Occasionally, I can just tell from my communications and correspondence with the author that they aren’t the type to accept a lot of edits. If that’s the case, and if I personally don’t want to be associated with the book because of its content, I ask the author to leave me out of the credits, and I don’t put the book in my portfolio. That’s only happened a couple of times. These days, I’m far less willing to take on every single job that comes my way (especially if the writing is very poor). I can be more selective about choosing projects that I fully believe in morally and ethically. That said, if you are just starting out and have few or no published books at all in your portfolio, it might not be wise to list books in which the author has not paid attention to the editing or has introduced new errors (or reintroduced old ones). If a poorly written book is one of only a few books in your portfolio, it makes sense to leave it out. That does help. Thank you very much! Hi Arlene, I am a professional violinist from Great Britain in my late 40s… well nearly 50. I am coming to the end of an English literature degree and am hoping to change career and become a freelance editor such as yourself. Do you think that at my age it may be too late to start from the beginning? Although I find your words inspiring, I am also daunted by what is involved. Do you think I am crazy to try to start a whole new career in the literature world? It’s very hard to know who to turn to for advice. Julia, unless one is in advanced old age, I don’t think it’s ever too late to become a freelance editor. The beauty of it is that you have so many life experiences behind you, which will make you a better editor (as I point out in my third paragraph). I didn’t start my editorial career until I was 42 years old, and I was making scarcely more than minimum wage at my first job. Yes, it’s a lot of hard work, especially in the beginning, but if you’re passionate the way I was, and you have a lot of perseverance and discipline (which you surely must if you’re a violinist! ), then I know you can do it. Thank you so much Arlene. That does help to set my mind at rest, onwards and upwards! You’re welcome! Don’t forget to join SfEP and the EAE group on Facebook! Best wishes on your journey to becoming a freelance editor. Hi Arlene, thanks very much for this helpful post. I found it while looking for articles to study so that I can learn as much as possible about freelance editing. Your comments about the importance of the entrepreneurial side of things definitely struck a chord, as I am currently trying to “pivot” my current freelance business (translation and copywriting) towards something that will be both more profitable and more rewarding. I was quite surprised to read that networking is so important as a freelance editor, but your recommendation to check out relevant LinkedIn and Facebook groups provides a perfect place to start. I’m glad you found my article helpful, Katie, and you’ll definitely see me in the EAE group. In fact, I just posted there in the last hour. As for networking, it can make a huge difference to your career, but organic networking (that is, just starting by being naturally friendly and offering questions or feedback) is a long-term thing that happens over time. And generally networking works for people who are already fairly outgoing and social online. If you don’t like being in online discussion groups, then networking isn’t going to be as effective for you. The degree of your participation in such groups will — in the long term — determine whether you begin to get work from others in the groups. I’m not much good at in-person networking, but I love being online. My friendships with others in the Facebook group have led to a number of jobs for me over the years. Hopefully you’ll find the same success! Arlene, thank you for the detailed information! I plan to follow through with as many of your suggestions as is practical for my situation, but I also would appreciate some personal advice. In your blog you are very clear that freelance editing is not a “hobby job,” and I believe you, but I’m still hoping I can make it work for me in some way. Growing up I had a tough time choosing between English and Math, and I eventually picked Math (B.S. & M.S. in Electrical Engineering), but all through college I still would proofread my friends’ papers. I still enjoy it at work. I’ve also loved books and reading my whole life. I’m in the military, and in another 15 years I will have been in long enough to qualify for a retirement pension. I was wondering if you thought it would be possible for me to gradually build up to an editing career over that time period. My hope is to be able to pick up small jobs here and there that I can do after work or on the weekends (through online networking as you say), and by the time I retire maybe I’ll have built up enough of a foundation to make editing my second career. What do you think? Absolutely, Amy! Fifteen years is a huge amount of time to prepare a foundation for an editing career — or any career, for that matter. My advice is still pretty much all the same. Try to pick up small jobs through networking and elsewhere, do some volunteer work, join professional organizations and the Editors’ Association of Earth on Facebook, and invest in some training. There are lots of online and continuing studies courses in editing, wherever you may be. If you do most of the things I’ve recommended in my article (albeit on a part-time basis since your current career must come first), you’ll likely be able to transition into full-time editing much sooner than 15 years. Good luck with it! Thank you for the great advice and for the quick response! Hello! I have been an avid reader all of my life and am looking for some good books to read towards becoming an editor. i would like to focus on editing things like cookbooks, (I have food industry experience), or a fiction editor. I have always preferred reading over writing so I didn’t pay as much attention to those classes in school. I need help with solidifying my understanding of grammar and other basics of writing and communication. What would be some good books/textbooks for helping me relearn that information? I am still young and trying to find a career that suits me and I feel like this is a career that I would do well in. I really enjoyed reading the information you provided and am saving it for future review. I appreciate any help you could provide!! The first thing you should do is join the Editors’ Association of Earth (EAE) on Facebook. It’s a closed group and extremely helpful to new and aspiring editors. For grammar and editing, you absolutely must have the Chicago Manual of Style, the editor’s bible. Make sure you get the most recent 16th edition, whether new or used. Older editions are very cheap online, but they will have guidelines that are out of date. If you’re serious about becoming a freelance editor, you should buy the 16th edition. (If you’re really not sure you want to spend the money on the 16th, there are lots of used 15th editions out there — try https://www.abebooks.com/servlet/SearchResults?isbn=9780226104034 — but few used 16th editions). You can also buy an annual online subscription to CMOS. There are many books on fiction editing. Offhand, I can recommend “Self-Editing for Fiction Writers, Second Edition: How to Edit Yourself into Print,” but you’ll find lots of others if you Google. This is a question you could ask the EAE group, and you’ll get lots of recommendations. Some editors don’t like the book I just recommended; others do. I don’t know where you live, but you might also want to take some fiction editing courses if you have them in your community. And there are also courses online if you search around a bit. As for books on how to edit cookbooks, I don’t edit many cookbooks, so I don’t know of any specific resources. This is another question you could ask the EAE group; someone will be sure to have an answer. You can also Google “how to edit a cookbook,” and you’ll see some general resources online. Thank you for that! I will look into those! Very informative, thanks! I’ve been working as the managing editor of a daily newspaper for a couple of years now, and I’m absolutely in love with the work. But the salary is another story… that’s partly what led me to the idea of doing some freelance editing on the side. My question is whether or not that experience editing daily feature articles and op-eds qualifies me for any type of freelance work, and if so, what’s the best way to market myself. Is it as simple as creating a website, listing some of the features I’ve written or edited, and hoping for the best? Or would it be a better idea to reach out to a few publishing houses with a resume to pursue work that way? I don’t know enough about your situation to really advise you properly. 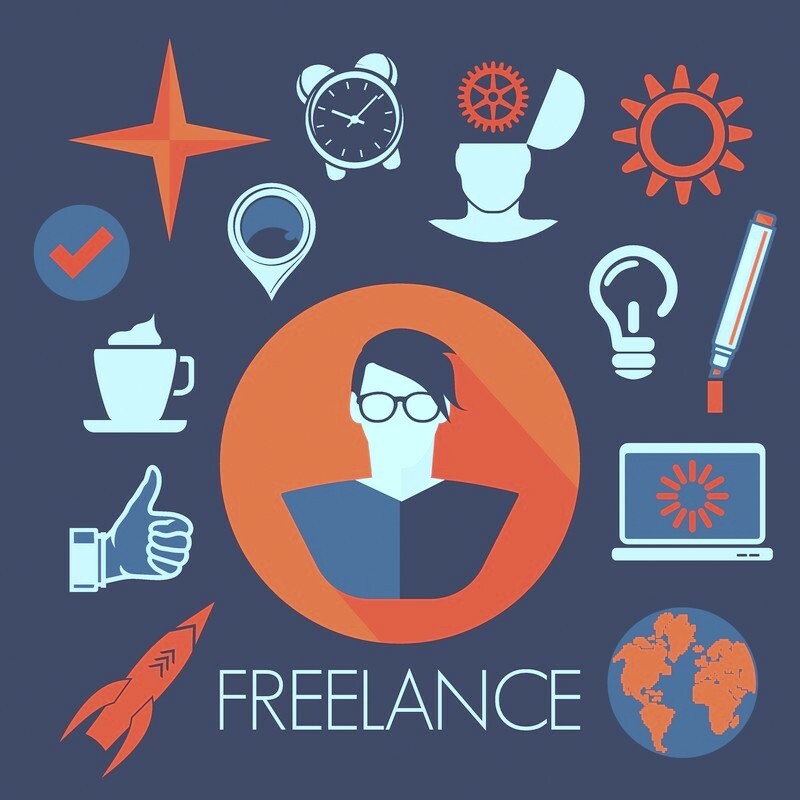 Specifically, what type of freelance work are you seeking? Are you looking to edit more articles of a shorter nature such as the work you’re doing now, or are you looking to edit full-length books? You’d likely have more initial success doing what you’re already doing, which is shorter articles. Many magazines do hire freelance editors. It will be harder to find book-length work without that sort of experience, but if that’s what you want, determination and perseverance will get you there. As for marketing, every freelancer needs a website, without exception. But just throwing up a website is no guarantee of success these days, because your website won’t be anywhere near the top of Google for writers to find. You need to do all the things I mentioned in this blog post. Also, reaching out to publishing houses for book-length work for someone with no book-editing experience is likely a dead end. It’s better to first get experience editing books by working with self-publishing authors. That’s what I did. When I first began editing 15 years ago, I tried sending resumes to some local mid-sized publishers, and I had no responses. Fifteen years later, I contacted the same publishers, with 150 books on my website’s portfolio, and I immediately got work — my name and reputation preceded me. I hope that’s all not too negative! The reality is that it takes a ton of work and perseverance to become a freelancer — you must treat it as starting your own business and becoming an entrepreneur. But if you take all the steps I’ve outlined in this article, you’ll be on your way to success. Hi. My name is Brittany, I am 16 years old and I am interested in a career in freelance editing. I have always had a passion for reading and writing, daydreaming little stories and characters in my head as I wait for the time to pass by, but, this seems so risky. It doesn’t seem like an easy thing to do especially since I have never finished a story plot myself, I have started things, but I have never finished them. Do you have any advice for someone like me? Someone who is nervous and skeptical, but also willing to try something new. Thank you, this was a lovely article. You’re just like I was at around age 20. I thought I could write a novel, but after doing months of historical research, I could never even get past the first page. I found that being an editor satisfied all my creative cravings to be part of the world of books. I get to take other people’s writing and make it the best it can be, but I don’t have to do the job of actually creating the fiction story or the structure for a nonfiction book. Why are you nervous and skeptical about pursuing an editing career? It’s a perfectly viable career, and there are lots of options in colleges and universities for you to get a degree in English, literature, and/or book publishing. You should begin investigating those options now. Meanwhile, take all the classes in your high school that are related. Of course, English and lit, and also any other writing and communications courses that may be offered. If you think you may want to become a freelancer, another very useful skill you’ll want to acquire is business training. Running a freelance company is like running any business, and a background in business will prove extremely helpful. In the meantime, volunteer your writing and editing skills. Can you work on the school newspaper? Can you volunteer to write or edit promotional materials for some of your local charities? Do you know of any small publishing houses in your area where you could volunteer — even if it’s just photocopying or doing simple tasks, it would help you learn the business. You can also volunteer at your local library to learn more about the world of books. And finally, follow as much of the advice in my article as you can; in particular, join the Editors’ Association of Earth group on Facebook, where there are thousands of editors who can answer virtually any question you may have. I hope this helps! Hello, Arlene. Thank you very much for sharing your journey into the editorial world. I found it to be very inspiring, as I am looking to change gears in my life. I am 37 years old and have a Bachelor’s degree in Spanish and International Business, as well as my teacher’s certification with an endorsement. I have a wide range of interests, and I have had the amazing opportunity to travel while in college and to work in a variety of different professional settings. I have been interested in the world of editing, but I was unsure of how to get started. I looked at SFU’s Writing & Publishing Program, and I am interested in taking courses to complete an Editing Certificate. Do you feel that a structured program such as this is a beneficial and practical (with regards to time and money spent) way to enter the world of freelance editing? I should probably mention that I am looking to start this ‘second chapter’ after leaving the professional arena for a few years to have two children. In general, a structured, paid certificate program like SFU’s is an excellent way to enter the world of editing. You’ll not only end up being certified, but you’ll make the all-important connections and networking that are usually necessary to building a successful career in this field. However, it really depends on a) your financial situation, and b) your learning style. For myself, I am almost entirely am self-taught: I’m very disciplined, and I learn better in an unstructured environment at my own pace. I also couldn’t afford such programs as SFU’s when I was starting out, although I did take a few individual SFU courses. So if you have the money and learn well in this type of environment, I’d say go for it. If not, study on your own, and network through the Editors’ Association of Earth on Facebook. Thank you so much for this post! I found this incredibly helpful and informative. I’ve just started exploring the idea of freelance editing as a side job. Your story told me so much more than some of the other sites out there. Right now I’m still trying to learn as much as I can, but I’m eager to take those first steps–I’m just not entirely sure what those first steps should be. Question: what do you think of freelance websites where people post/bid for work? Some people seem to swear by them and others say to stay away. I don’t have a problem with freelance websites where people post jobs and bid for work. It’s all part of the marketplace. I’ve never used them myself because I’ve never needed to, but they may be useful when you’re just starting out. I do know they don’t pay very well, but in the beginning, for most of us experience is more important than money. And why not try Craigslist? I think you should try as many avenues as possible. I once saw a piece of paper with tear-off tags pinned to a telephone pole, advertising editorial services. Whatever it takes! As well, the Facebook group I mentioned, Editors’ Association of Earth, has a number of subgroups, one of which is EAE Ad Space. You could join that group too and post there. Thank you for sharing your own journey to becoming an editor, Arlene! I have self-published one mystery/thriller and am writing the sequel. For some time, I have also been considering doing editing jobs for self-published authors. Twice, I have been approached by two different writers to edit their memoir/short-stories of their lives. Both were poorly written; the second was truly awful and in my opinion, unpublishable. Question: once you’ve asked for a sample of someone’s writing, how do you gracefully refuse the job? Being a self-published author myself (who paid a professional editor) I realize this is part of the good and bad of self-publishing. Actually, it’s very easy. Just tell them the truth, whatever that is. Is their writing not yet ready for editing? You may be doing them a favour and saving them money by simply being direct. Or perhaps you just can’t quite connect with their story or their writing? I’ve done that on several occasions. Or perhaps you don’t like their genre. For me, I no longer enjoy editing fantasy or sci fi, so I just tell the client that I wouldn’t be the best editor for them because I don’t read those genres for pleasure. Whatever you tell them, don’t leave them at a loss. Have names of other editors on hand, or find them through editors’ groups, that you can recommend. I have quite a solid roster of editors who I’ve tested and trust and to whom I refer work all the time. I think where I have faltered is when I’ve told someone (diplomatically) I couldn’t connect with their writing and they asked me specifically what I couldn’t connect with. I feel that if I tell them the truth it might discourage them from writing, but at the same time I know as a writer myself, I would want to know. In one particular situation, I couldn’t with a clear conscience pass the buck to another editor because the writing and lack of structure was so awful. I think I need to be more firm upfront about what I’m willing to take on, particularly when they’re looking for a “deal” or offering a barter-type arrangement. Those are very difficult to navigate. I think you’ll find that as you gain more and more experience and clients, you’ll be able to pick and choose your projects more easily. In my early years, I took on almost everything that came my way, and in a couple of cases, I found myself in over my head, or the project just wasn’t right for me. Gradually, I learned my limits and preferences, and today I choose only projects I know I can do justice to. The sooner you can get to that point, the better, but it’s a process. And the sooner you can learn what you’re willing and unwilling to take on, the better. Great advice, Arlene, and thank you for taking the time! Thank you for the abundance of wisdom and good ideas, Arlene! I am wondering if freelance editors are responsible for connecting clients with the illustrating, printing, and promotional aspects that go into a finished book. If so, how does one learn the ropes in these areas? And thanks for your comment, Lisa. If you’re working freelance with self-publishing authors in particular, then I think it behooves you to become as familiar as possible with the other aspects of the publication process. You’ll give clients added value for their money if you know about the self-publishing process and if you can recommend other editors, proofreaders, designers, illustrators, printers, book marketers, and self-publishing services companies like CreateSpace. Although you are not responsible for connecting clients with these other specialists, and you needn’t be skilled yourself in these areas, you should be familiar with their processes and connected with some of their specialists. How did I learn the ropes in these areas? Google! I read a great deal, about the self-publishing industry, and I followed (and still do) a lot of blogs in the various publishing disciplines. I acquainted myself with experts in the various areas by constantly networking and asking questions. For example, the very first book designer I worked with, Fiona Raven, became one of my best friends, and I learned a great deal about book design from her. Thank you for your prompt and thoughtful answer. That means so much! Have you ever thought of developing an online master class that covers such details in depth? I would be your first customer! This was a fabulous post. After years of thinking I wanted to be a writer, I began to realize that I really have a passion for editing, not writing. This led me to research whether that was a realistic option if I had never lived in New York or worked for a major publishing house. Your post was exactly what I needed to know. Thanks for the post. Thanks, Lisa! I’d thrilled that my post has given you the impetus to pursue your goal! I hope you stay in touch and let me know how things are working out for you. Thank you for this article! I just took one of those grammar quizzes on Facebook and it was suggested that I should become an editor. I am 55 years old, I speak three languages fluently and actually have a Bachelor’s degree in German as a foreign language (German native speaker, used to teach German to Dutch business people while living in The Netherlands. Long story). I’ve always liked to write, but I have a real passion for grammar and spelling. I’m “one of those”. 🙂 I have a successful business which is physically very demanding, and I feel that at some time in the next ten years I will have to retire from it and do something more sedentary. I feel editing books would be right up my alley. Freelance work is something I have done a lot of in my life, and I enjoy it. It would be a fourth career. I am a permanent resident in the US. I’d like to start educating myself for this “retirement career”, but I can only do this part time as mentioned above. What first step would you suggest I take? Thank you very much! Berit, how exciting that you’ve found your fourth career! You should follow all the steps I mentioned in my article, but as a first step you may want to join and participate in the Editors’ Association of Earth group on Facebook, and all its subgroups. It’s free, and there you’ll find hundreds (actually, thousands) of other editors at every level of experience, who can answer just about any question you can think of. Best of luck with your new career! Thank you for your quick reply! It’s nice to know to have something “on the back burner”. I will look into the group and take baby steps. Hi! Thank you for sharing so much helpful information! I do have a couple more questions though. Does this career allow for traveling, and if so is it possible to make enough money to fund a nomadic lifestyle? I would really love to be a book editor, even for a company, but don’t want to be stuck behind a desk for my whole life. Hey! I wanted to ask: is the Chicago Manual of Style relevant for those pursuing editing outside of the American Market? Definitely! There is much general information in CMOS that applies to all types of English, not just American. This was very helpful! I’m a highschool student and I’ve wanted to be a book editor since elementary school, when I first discovered the profession. (Before, I wanted to be a writer; but while I can write, it’s not as appealing to me as editing.) I’m currently interning under a self-published author and I beta-read/proofread her new releases and some of her older books. I’m also involved with beta reading for another indie author. These are on a volunteer basis. What are some other steps I can take to get further involved with editing? How wonderful that you know you want to become an editor at such a young age. It took me many decades to learn that this is the best profession for me. As for you, try to follow as many of the steps mentioned in my article as you can, but as a first step you should join and participate in the Editors’ Association of Earth group on Facebook, and all its subgroups. Also, you don’t mention anything about post-secondary education. You may want to check out courses at your local college or, if you’re in a remote area, look into distance or online education. It’s very important to have some kind of education beyond high school for an editing career. I suggest editing courses, English and creative writing courses, and some business management education, especially if you want to freelance. Thank you for your reply! I am planning on doing some dual enrollment online over the next two years to earn an Associate of Arts degree, then continuing to the university to earn a bachelor’s. Unfortunately I don’t have Facebook, however, so I don’t have access to the group. Britta, it would be worth it to you to join Facebook just to be part of these private editors’ groups. They’re the best free networking and educational tools you’ll find anywhere. You have absolutely nothing to lose by joining. How wonderful to see that this post is just as relevant, helpful, and thriving more than two years later! Thank you so much for your transparency with this post, Arlene. I have wanted to be a book editor and proofreader for as long as I can remember. I was so fortunate to land a job as the marketing director for a Pulitzer Prize-winning indie book publisher right after college (I interned there and never left! ), and held that post for more than half a decade. Though it was a tough decision to make, this summer felt like the right time to venture off and start my own dream career of editing books, specifically children’s books. While I have some experience editing the poetry and short fiction books I helped publish, as well as miscellaneous pieces like academic dissertations, I don’t yet have enough experience to position myself as an expert editor for children’s literature. My hope is to spend the next year dedicating myself wholeheartedly to polishing and specializing my skills with self-education, volunteer work, and networking. Your post is a true inspiration for this new chapter of my life, and I can’t thank you enough. Thank you! I love this article! While I was reading it, I had to stop and reflect a few times because it is so inspiring and insightful—it really spoke to me. Now I feel a mixture of relief, excitement, and hope. I’m a 41-year-old full-time mom, and I recently began a copyediting certificate program because I’m ready to transition back into the working world. My goal is to become a freelance copyeditor, but I have no relevant experience (except a love of words). After reading this article, I feel like it’s not too late to be just starting out, and that I may actually find work one day. I also feel like my unrelated college education and “eclectic” work experience may not be a deal-breaker. I’m even more motivated now! When I came across your website, I couldn’t stop reading your articles and marveling at your optimism and helpfulness. Aside from my instructors, I don’t know anyone in the copyediting or publishing fields, so I feel like your website is going to be a wonderful resource as I navigate a new career. You have such helpful advice, and you are so encouraging! Months ago, I found the website of a freelance copyeditor who was incredibly negative about “newcomers”, and she really discouraged people from entering the field. Reading that was quite disheartening, but I’ve continued with the program because I’m really enjoying it. Thank you for this fantastic article and your helpful replies to your readers’ comments! You answered so many of my questions and settled some of my unease. I’m so appreciative! April, thank you so much for your lavish compliments! I’m so glad you found my post encouraging. I’m also surprised, and frankly, appalled, that you encountered a freelance editor who was negative about newcomers getting into the business. That’s unusual, and I would suggest that you completely disregard that person. Almost all the editors I know (hundreds of them) are positive and welcoming toward newbies. By and large, you’ll find positivity if you join the Editors’ Association of Earth and its subgroups on Facebook. If you’ve read all the comments here, you’ll have seen that’s something I recommend for every newbie as a starting point. You can also follow the posts of Louise Harnby, a warmly encouraging proofreader from the UK (here is one of her latest posts: https://www.louiseharnbyproofreader.com/blog/qa-with-louise-i-have-no-experience-no-training-no-degree-and-no-time-how-do-i-become-a-proofreader), and Katharine O’Moore-Klopf has lots of resources and advice (here is her Copyeditors’ Knowledge Base page: http://www.kokedit.com/ckb.php). I hope all this helps, and I wish you lots of success as you pursue your dream of editing as a career. I just wanted to take this opportunity to thank you for a post that inspires the would-be editor, rather than deters. While you honestly highlight the challenges that certain realities such as natural editorial talent, the digital age, website SEO, and self-marketing pose, you also convey that nearly anything is possible with diligence. I am a published writer and have been editing projects (my own and others) informally for years, sometimes paid, but always on the side and never as a full-time editor. Ironically, I started out my career as an English teacher, then nighttime ESL teacher at a college–talk about grammar inundation! You mentioned introversion–maybe that’s why I didn’t love being in the spotlight as a classroom teacher, even though I enjoyed helping people. All along, the real work that has energized me has been writing and editing, and yet I never had the guts or any sustained belief that I could hang my shingle as a full-time, paid, professional editor. You’ve inspired me to move forward with a career that I have entertained but never pursued. I know there will be much work in building a presence, but I won’t be deterred. Thank you, Arlene! I’m so glad I was able to inspire you, Maria, even while pointing out the challenges that a new freelance editor faces. Diligence, perseverance, persistence, a never-give-up attitude, and a solid work ethic — combined with talent and networking — will almost guarantee you eventual success in the freelance editing world. Don’t forget to join the Facebook editing groups — that should be your first step! Thank you so much for this article, I’ve been dreaming of becoming an editor for most of my life, my path took a very different road. I’m now 41 and about to send my daughter off to college, I feel like I can finally pursue my dreams. I read voraciously, I was always taking creative and AP writing courses whenever I could. My question is this, do you work remotely? I’ve been researching this and I’m not looking to move to a big city, I travel quite a bit and would love to continue doing so. I’ve looked into self publishing authors a bit, as well as new publishing places like book in a box, though not ideal I think a great place to start. Do you have any ideas of where to look first in today’s market?. Thanks again! Yes, I do work remotely. I recently built a house in Mexico, where I spend half the year. There are no issues at all editing from anywhere I am in the world, except slightly slower internet access.